We highly value our members and strive to provide meaningful benefits to all. Volunteering New Zealand enables the community and voluntary sector to achieve excellence and the best outcomes. We achieve this with our leadership, innovation and support. Giving you a voice (policy and government submissions). A free one-hour consult/presentation/workshop for your organisation with volunteer strategy and information. Ensuring the value of volunteering is recognised and promoted. Learn about community sector updates and latest trends as they happen. Information from New Zealand and internationally. Priority for promotional material, educational and other resources produced by or made available through VNZ. Attend and vote at the VNZ Annual General Meeting. Share with us your views on policy and government submissions related to the community sector. We represent your interests through extensive advocacy. Leading the profession and fueling growth of the profession. Examples include our Certificate in Managing Volunteers and leadership tools such as LeadMe and InvolveMe. 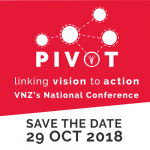 Sign-up for the monthly VNZ e-newsletter. Opportunity to share your organisation’s content (events and blogs) in VNZ’s newsletter. A free subscription to E-Volunteerism (a journal to inform and challenge leaders of volunteers). Support letters from VNZ, which you can add to support funding applications. 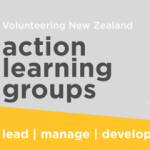 Priority support for your organisation with volunteer strategy and information, utilising our LeadMe and InvolveMe platforms, NZ Best Practice Guidelines and NZ Competencies for Managers of Volunteers. Generous discounts on mentoring, workshop, training or presentation delivery to your organisation on volunteering issues – trends, management training, motivational presentations or mentoring sessions. Discounted organisation contents/liability insurance with Rothbury Insurance, through our national umbrella agreement (saving some of our members over 30-40% from their previous arrangements). Generous discounts on mentoring, workshops, training or presentation delivery to your organisation on volunteering issues – trends, management training, motivational presentations or mentoring sessions. Attendance at exclusive member engagements and events. Action Learning Groups, CE Forums, and more. Professional family. Exclusive member event engagements. 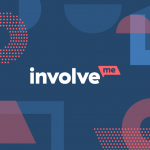 Opportunities to connect to national and international volunteering movements at educational workshops and conferences. 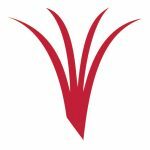 Content shared and promoted on VNZ’s marketing channels (events, awards, news). Priority support and resources for national campaigns. Be part of an international community for volunteering. Make connections with international organisations to learn and share. With nationwide organisations and stakeholders. Opportunities to learn and connect with a range of cultural groups.